Winter Solstice is Coming! Time to Prepare the Home! 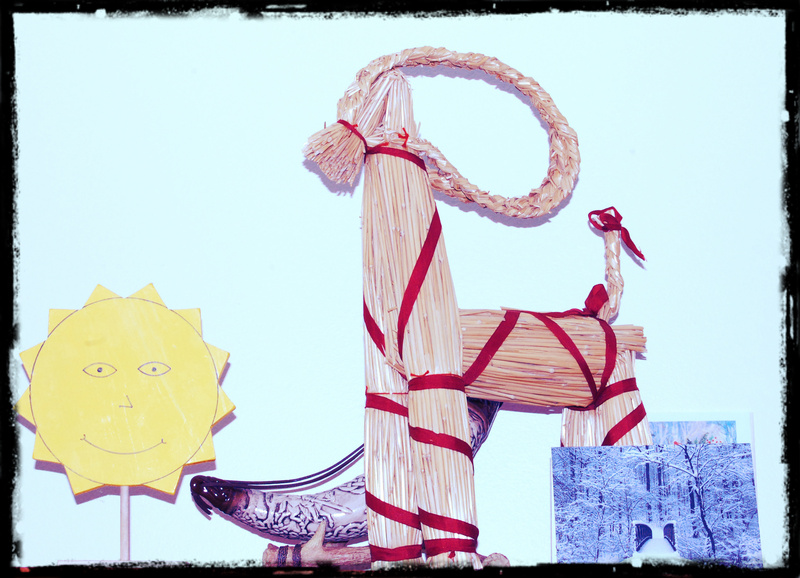 Our Solstice isn’t complete without our beloved Yule goat or the sun my father made me a couple years ago. Also starting to display the cards we get! Check out the paper suns we made! 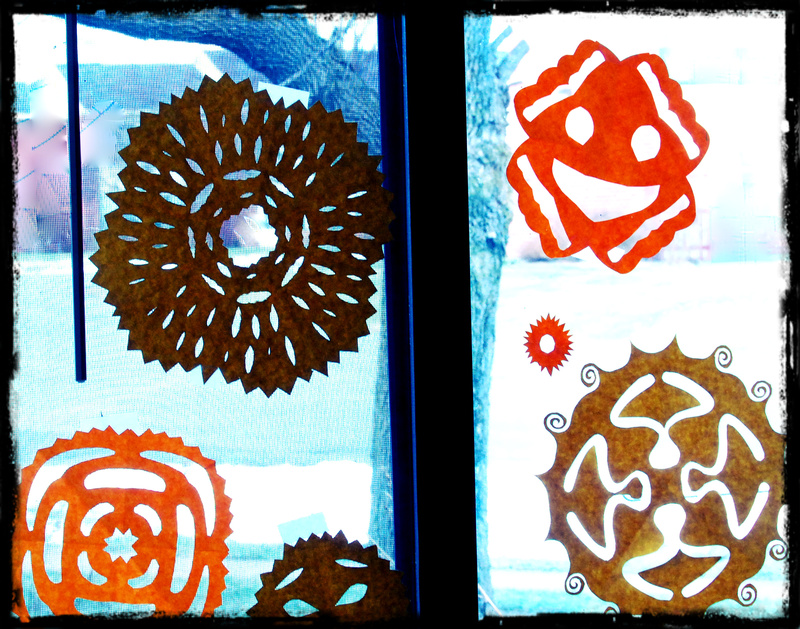 Don’t they look great in a window? Inspired by Ozark Pagan Mama, we made some with faces! Photo by Grey Catsidhe. 2013. 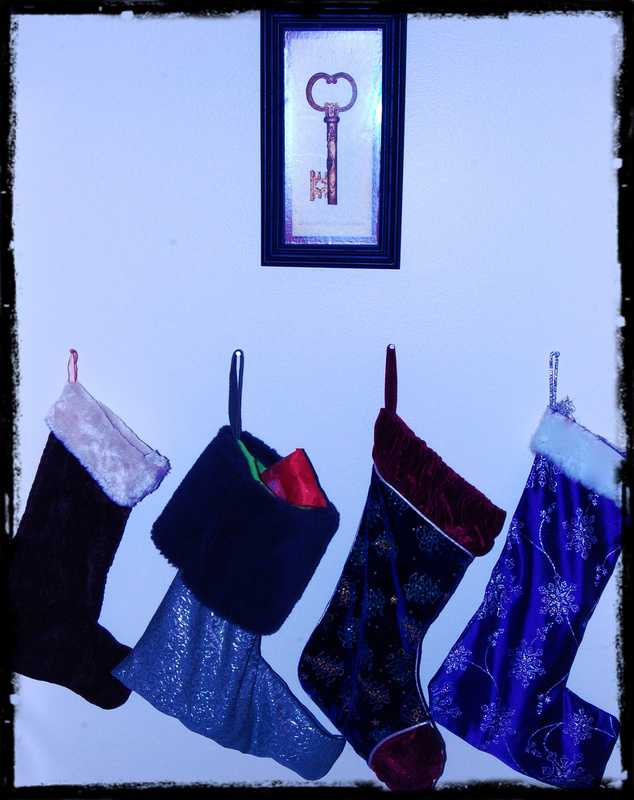 We hung the stockings, including a new one for Bee! Photo by Grey Catsidhe, 2013. Lovely decorations! We have a little potted friend too; his name is Kevin and we love bringing him inside each year 🙂 The colour is just so much more vibrant than a cut/artificial tree imo. Thank you! 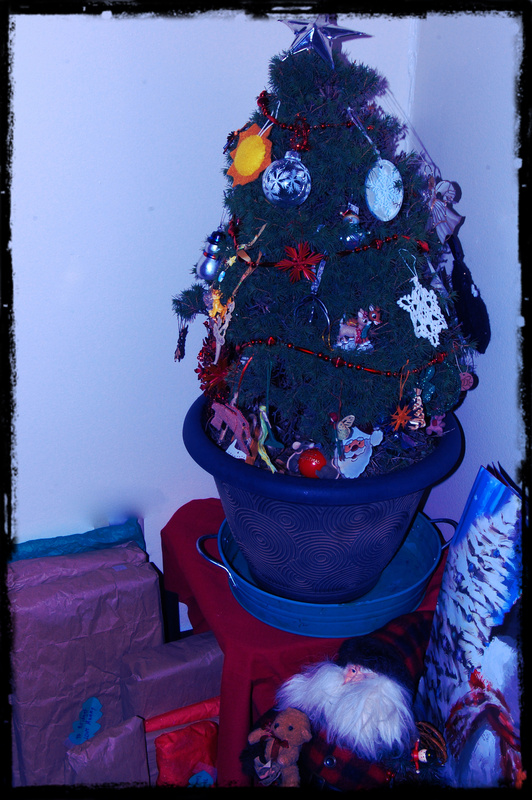 Our poor tree has some wind damage from a previous winter, so one side looks very sad… but the green is still vibrant!